1. Charge and Matter; 2. The Coulomb's Low; 3. The Electric Field; 4. Gauss's Law and its Application; 5. Electric Potential and Electric Potential Energy; 6. Van De Graff Generator; 7. Divergence and..
1. Charge and Matter; 2. The Coulomb's Low; 3. The Electric Field; 4. Gauss's Law and its Application; 5. Electric Potential and Electric Potential Energy; 6. Van De Graff Generator; 7. Divergence and Curl: Poisson's and Laplace's Equations; 8. Capacitors and Dielectrics; 9. Microscopic Theory of Dielectrics; 10. Electrometers. 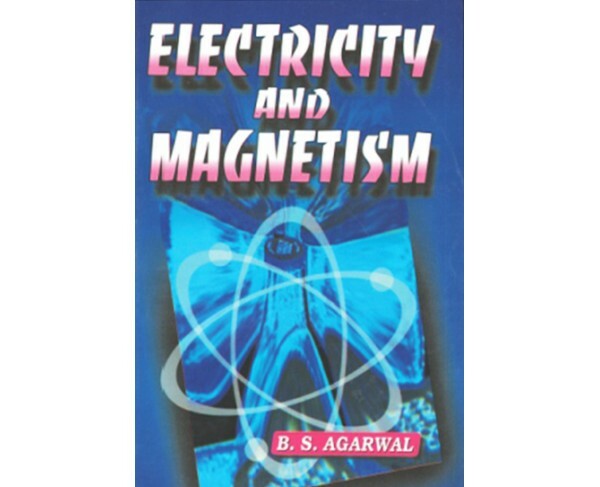 CURRENT ELECTRICITY & MAGNETISM: 1. Current and Resistance; 2. Kirchoffs Low: D.C. Measurements; 3. Thermo-electricity; 4. Magnetic Induction : Circulating Charges and Cyclotron : Hall effect; 5. Magnetic Effect of Steady Currents: The Biot-Savart Law: Helmholtz Galvanometer: Ampere's Law; 6. Magnetic Force on a Current :Torque on a Current Loop: Moving-coil Galvanometers; 7. Ballistic Galvanometer and its Uses; 8. Electromagnetic Induction : Betatron; 9. Magnetic Poles and Dipoles; 10. Magnetic Properties of Matter: Hysteresis; 11. Magnetic Properties of Matter in ( C.G.S.System); 12. Self and Mutual Inductance: Growth and Decay of Current; 13. Charging and Dicharging of a Capacitor through Resistance Resistance; 14. Electrical ^Oscillations; 15. Alternation Currents.